First, let me say a big thank you for all of the donations we received. 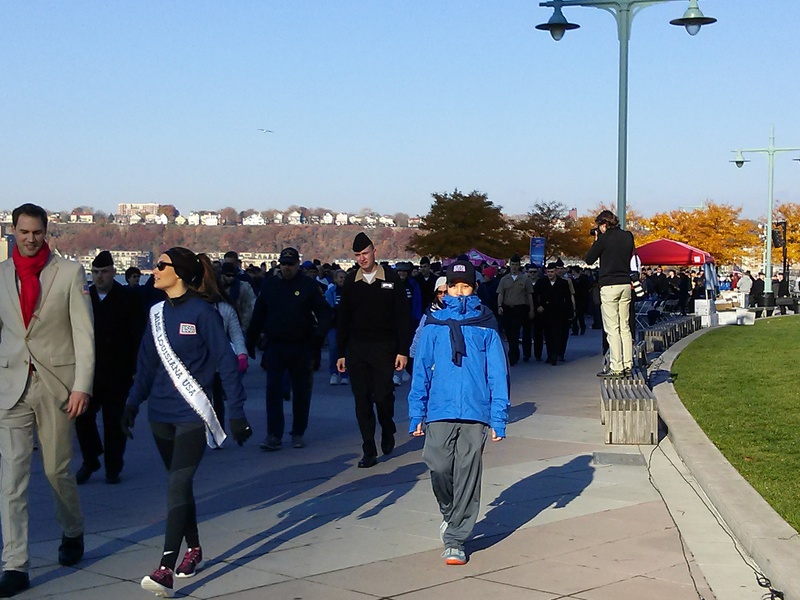 You helped us raise over $500 for the programs of the USO through this 5K Walk. Second, I hope that the Arciola family and those who love them know how much we care. Third, here is a picture of me with Miss Louisiana at the Walk. She was very friendly and engaging. 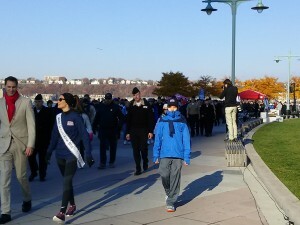 The walk began at the Intrepid and then we went to 15th Street and turned around. 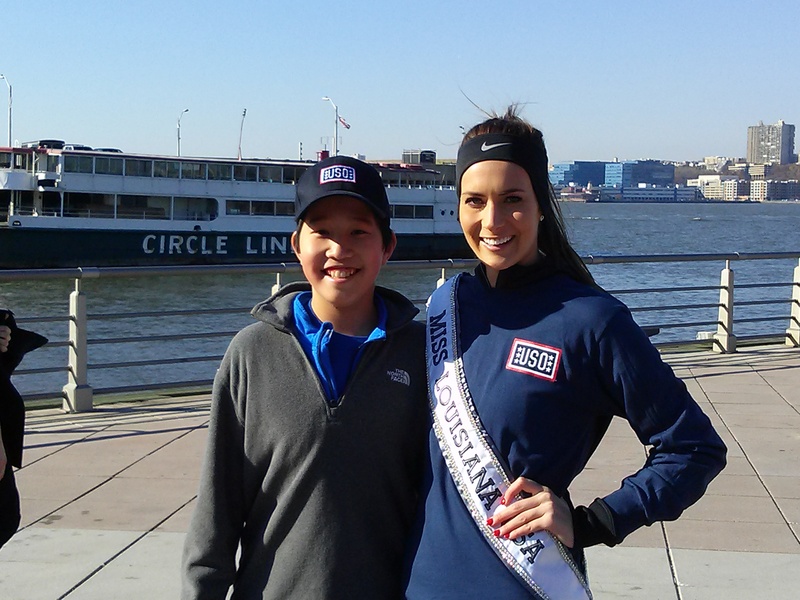 I got a chance to speak with a USO performer named, Tom. They perform 250 days each year! 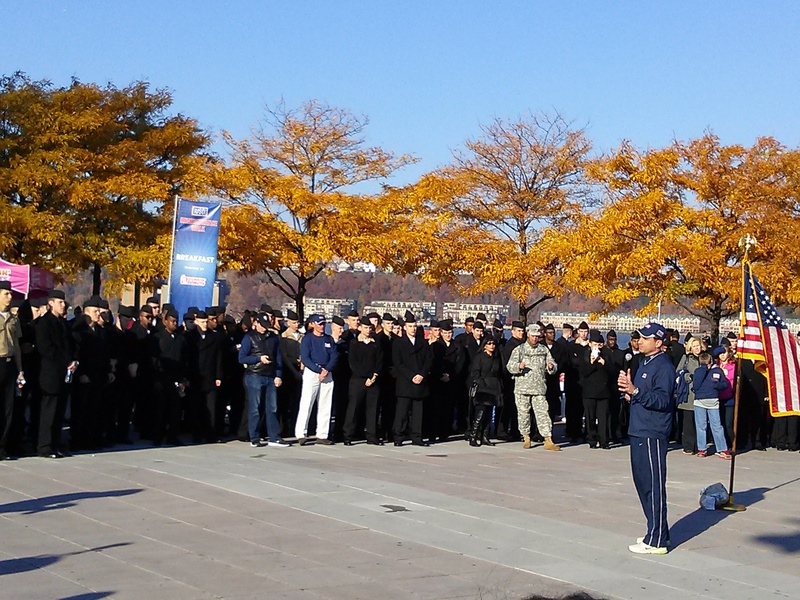 I also got to speak with a cadet from the United States Naval Submarine School in Groton, CT. It was also nice to speak with Mr. Brian Whiting, CEO and President of the Metropolitan USO. There was an excellent band that welcomed us back to Pier 84. They were from Virginia and are called Four Stars. Please comment and let me know what you did to honor our heroic Veterans on this special day. PS: Please see my photo album on Facebook.